Waterparks are an American pop-punk band from Texas, formed in 2011. 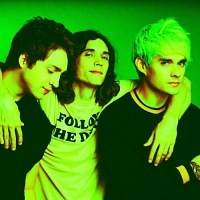 The band features founder members, Awsten Knight - vocals/ guitar, Otto Wood - drums and Geoff Wigington - backing vocals/ guitar. They released their debut album, "Double Dare" in 2016.